Hands down, the largest deal of the week was Shire plc’s (NASDAQ: SHPG) $4.2 billion offer for ViroPharma Incorporated (NASDAQ: VPHM), a biopharmaceutical focused on rare and orphan diseases. The price offered equals $50 per share in cash, representing a 27% premium to ViroPharma’s closing price on November 8th. Shire expects annual cost synergies between its Firazyr product and ViroPharma’s Cinryze brand to come to $150 million by 2015. Goldman, Sachs & Co. is acting as financial advisor to ViroPharma, while Skadden, Arps, Slate, Meagher & Flom is acting as legal counsel on the deal. Lazard and Morgan Stanley are acting as joint financial advisors to Shire, and Davis Polk & Wardwell LLP is acting as its legal advisor…..Want to read more news? Click here for a free trial to The Health Care M&A Information Source and download the current issue today. Health insurance has made headlines this month, even in the M&A space. Last week, Lovelace Health System of Albuquerque, New Mexico, announced it was selling its Lovelace Health Plan (LHP) to Health Care Service Corporation, through its affiliate Blue Cross and Blue Shield of New Mexico. The transaction is expected to close by December 31. The transaction was “the logical next step” after LHP wasn’t chosen to remain part of the New Mexico Medicaid managed care program, Centennial Care, earlier this year. LHP lost 84,000 members as a result…..Want to read more news? Click here for a free trial to The Health Care M&A Information Source and download the current issue today. With so many major pharma companies cutting back on R&D spending, it isn’t surprising to see VC money going into startups. Last week Catabasis Pharmaceuticals, Inc. announced it had completed a $32.4 million Series B financing round led by new investor Lightstone Ventures. A leading public crossover fund and all current Catabasis investors, including SV Life Sciences, Clarus Ventures, MedImmune Ventures and Advanced Technology Ventures, also participated in the financing. The proceeds will go to support the development of its lead compound, CAT-2003, a modulator of the lipid synthesis pathway, which is currently in a Phase 2 clinical trial in patients with hypertriglyceridemia and in combination with statins in patients with hypercholesterolemia….. Want to read more news? Click here for a free trial to The Health Care M&A Information Source and download the current issue today. What’s the best strategy for building a successful ACO? Can you achieve high-quality, low-cost care through an acute/post-acute partnership? Does the model work? Does it save money? Find out more from our expert panel. 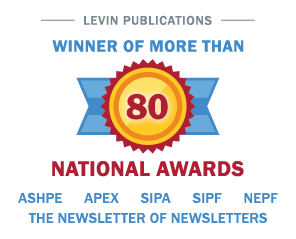 Go to http://www.levinassociates.com/conferences/1401-online-conference or call 800-248-1668 to register.